Your property did not come cheap. It probably cost you an arm and a leg but unfortunately, it is under threat form an unlikely enemy. The moss on your roof and grime on your driveway is not only a visual nuisance. If not dealt with, these can damage your property over time. The good part is that all it takes to get rid of all that is a quick power wash.
At NICK’S Window Cleaning, we strive to deliver power washing services Scarborough property owners can call upon for any purpose. Our team of trained technicians come armed with years of experience and powerful state-of-the-art equipment. Does your home lack that sparkle it had when it was new? Restoring it is not impossible. You can have that beauty back with a good pressure wash. You spend a significant amount of time at your property. That is reason enough to keep it as neat as possible and we are here to help you achieve that. Our expertise encompasses both residential and commercial property. It does not matter how small or large the job is. We will get it done, fast! Pressure washing is not as easy as it seems. It can be a dangerous endeavour for those that are not trained to handle the brutal machines. Those jets of water do not discriminate. They will strip away dirt, your property’s surfaces, and even injure your skin or eyes. As pressure cleaning professionals, we have the knowledge to give you a safe cash without damaging your property. DIY pressure washing can also be time consuming. It takes a while to learn how to operate the machines, and even more time to get the job done. The problem is that there is a high probability that you will do an incomplete job since you are inexperienced. We have perfected the game. We are well able to give you a swift yet thorough cleaning. But in all this, our rates remain friendly. Give us a call and see for yourself! We have a team of enthusiastic, trained technicians. Don’t believe us? Give us a call and experience this for yourself! Your home is a major investment and as such, it deserves your keen attention. Part of that is making sure its every inch is free from mildew, grease, algae, soot, dust, and other pollutants. But it can be next to impossible to get rid of some of these by ordinary cleaning methods. They can be stubborn and sometimes just hard to reach. 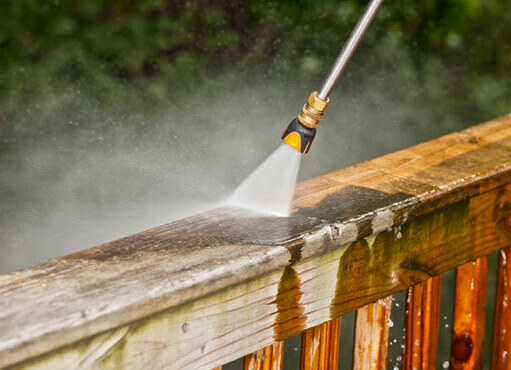 Regular pressure washing can help keep your property clean and visually appealing, and thus sustain its market value. What parts of your property are best cleaned by pressure washing? The Patio: Your patio is vulnerable to all sorts of contaminants and pollutants. Since it’s a space your family interacts with on a daily basis, it not only has to look great but it should be free from germs as well. Pressure washing your patio will be a sure fire way to flush out stubborn grease, moss, dust, and any dirt that might have found a home on the materials’ surfaces. Although different materials accumulate dirt at different rates, they all have the same fate after a few months. Whether your patio is made of concrete, mortared stone, exterior tiles, or concrete paving, it could use a professional pressure wash every now and again. Your roof: Moss, algae, and mildew can deal a deathly blow to your roof, reducing its lifespan by years. But seeing how expensive and important the roof is, it would be smart of you to keep it free from these foreign substances. It may not take much to do this. A pressure washing job by a trained professional requires only a few hours depending on the size of your property and the extent of the dirt. But those few hours could be what saves your roof from premature damage. Your driveway: Grime and grease on your driveway can take much from your home’s beauty. But the effects go beyond just looks. Although concrete might be a tough material, grime and other pollutants can slowly but surely damage the surface, exposing it to more weather. 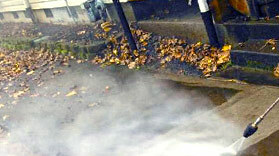 Regular pressure washing can save you thousands of dollars in dodged driveway repairs or replacements. But don’t make this a DIY task. You will simply waste your time and probably damage your property. Pressure washing equipment is not at all user-friendly if you are not trained. It’s much smarter to just give a pressure washing company a call, and let them take care of the rest without any risks on your part.